Ahhhh, the comforts of fall….the cooler weather, the changing leaves, the wonderful smells (apple crisp, my favorite caramel candle scents) and the FOOD. I love baking this time of year. 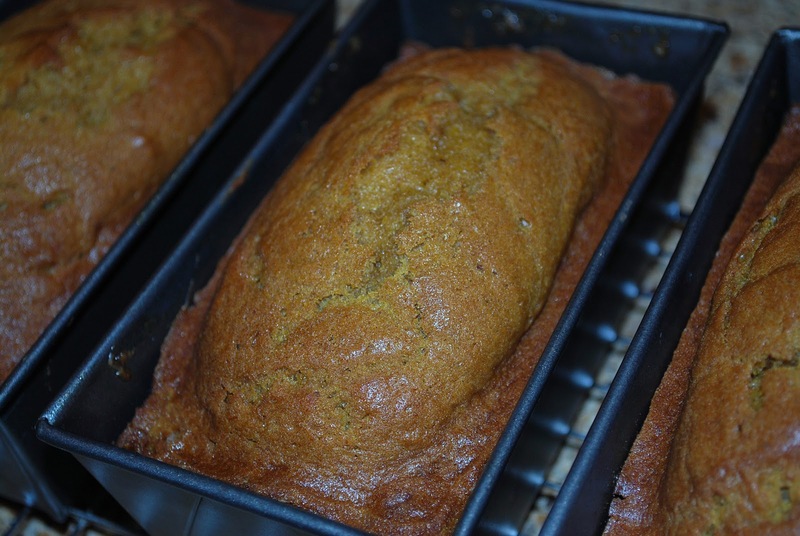 Pumpkin is one of my favorite flavors and I relish my mother’s pumpkin bread. I love using my mini loaf pans, so that I can share with others. When preparing baked goods, I prefer to use unbleached flour. We don’t need any unnecessary chemicals in our food. Add dry ingredients to wet ingredients until just blended. Do not over mix. Pour into one large bread pan and bake at 350 for 45 minutes or 6 mini loaf pans for 30 minutes or until a toothpick comes out clean. 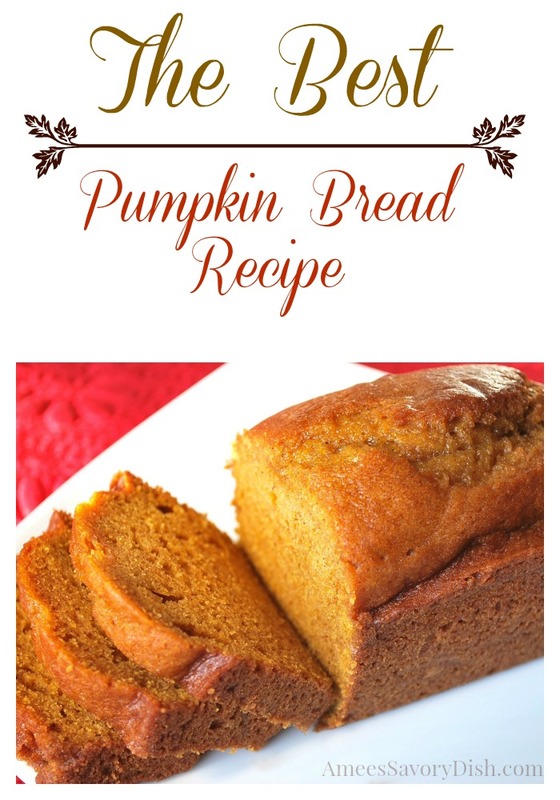 What is delicious served with homemade pumpkin bread? 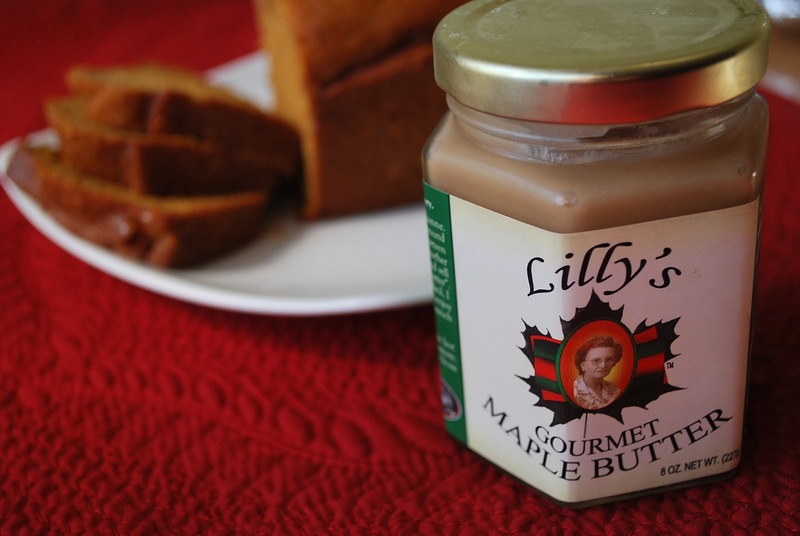 Gourmet Maple Butter. So good! Oh my! I’ve had pumpkin on my mind every day since fall arrived. This bread looks marvelous…I can almost taste it. Thanks for sharing – I’ll try it soon. I think sweet breads are one of life’s most wonderful simple pleasures. Have a blessed week!